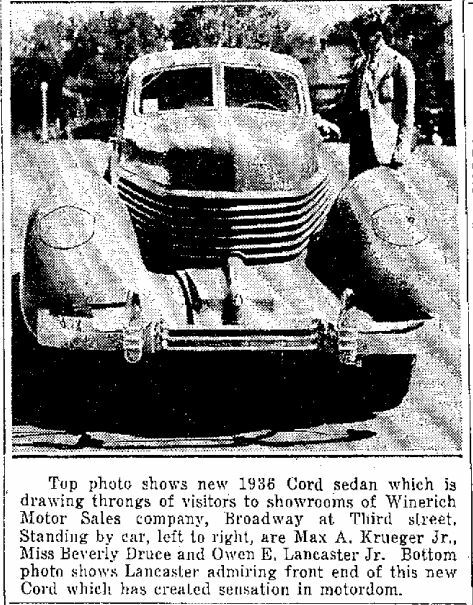 “Throngs of people” crowd the Winerich Motor Sales Company at Third and Broadway to see the brand new front-wheel drive Cord automobiles (right). San Antonians are shocked to learn of the assassination of Dr. Martin Luther King, Jr. in Memphis, Tennessee. The new bridge crossing Salado Creek on Martin Luther King Drive is dedicated to the memory of Martin Luther King, Jr. on the anniversary of his death. Mayor Pro Tem Helen Dutmer, Joe Webb, Earl Campbell (superintendent of the San Antonio School District’s Area II) and the Rev. R. A. Callies participate in the ceremony.